The Catalan parliament has passed a law giving its regional president the power to carry out a non-binding consultation vote on secession from Spain. Catalan nationalists believe this law enables them to hold the long-awaited independence referendum. On Friday, the Catalan parliament voted in favor of the new law, with 106 MPs supporting it and 28 voting against. The MPs hope it will bring Catalan President Artur Mas a step closer to the planned independence referendum on November 9. However, while the nationalist block thinks the bill directly paves the way for a referendum on independence, the Catalan socialists who allied with them for the vote do not share this opinion. The Spanish government called the Catalan consultation vote illegal and said it will be taking the matter up at the Constitutional Court. The court has the power to suspend the vote after it hears the case on Tuesday. Madrid maintains that any kind of secession vote has to be decided by the whole country, citing Spain’s 1978 constitution. Catalonia’s new law comes right after Scotland voted “No” to independence, but Mas said that the people should not see it as a discouraging sign. 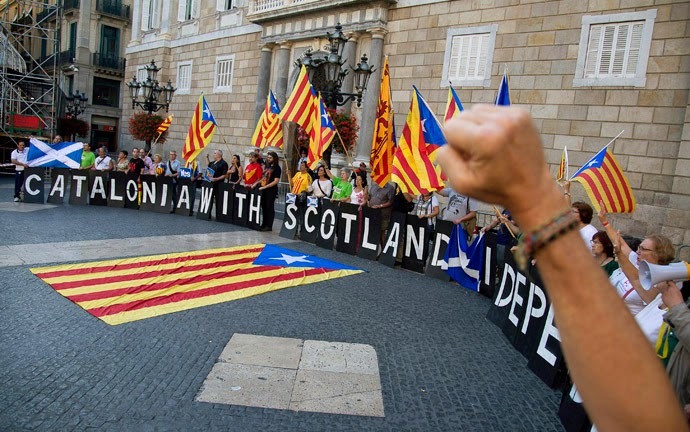 Scotland “has shown the way to others – the Catalan process continues,” Mas added. The Catalan independence movement has grown from strength to strength over the last few years, gathering momentum against a backdrop of EU financial crisis. 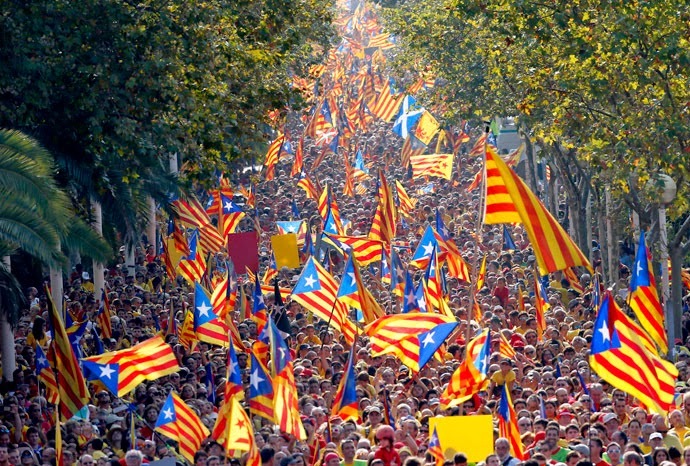 The autonomous region of Catalonia has a population of 7.5 million and accounts for almost one-quarter of Spain’s GDP. On September 12, Europe saw one of the largest demonstrations in recent years: at least 1.8 million people formed an 11km red-yellow line to show their support for the upcoming independence referendum.